Due to the dwindling sales of C-segment sedan, Maruti had felt the need to tweak its product a bit for standing tall in market. 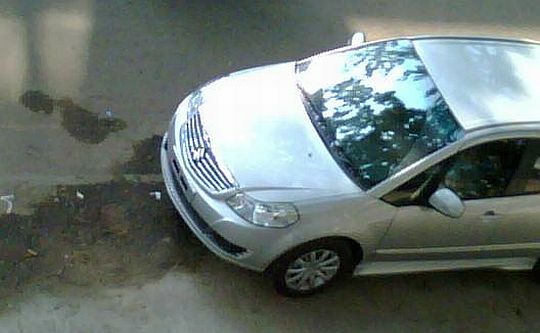 2013 Maruti Suzuki SX4 facelift had once again spotted doing rounds, which clearly says about the launch wandering nearby. Though it’s previous Baleno was also going through the same rough patches but was then lately replaced by this one. Undoubtedly, Honda City still remains the master of all, so no one even dares to get closer with it. In the images, facelift SX4 sports new front grille, meatier bumpers, improved taillamps, and some minor interior tweaks. However, no technical changes are expected, but to go with the same ongoing jag itself. Expectations for this roll out are meant to be in this March only, but let’s see what the future had stored in for us. The same 2013 Maruti Suzuki SX4 may also go to China market, after all we all are neighbors and shares almost similar vibes. Hopefully, Maruti is playing an aggressive trump on this model which tends to be needed more frugality on the back. Though it is ultimately left with customers, so therefore only time will tell what magic it will create when the tarmac would burn its rubber brutes.